Have you ever dealt with an infestation or a pest problem? We hope you haven’t. Living with unwanted guests fuels the fire for stress and discomfort. 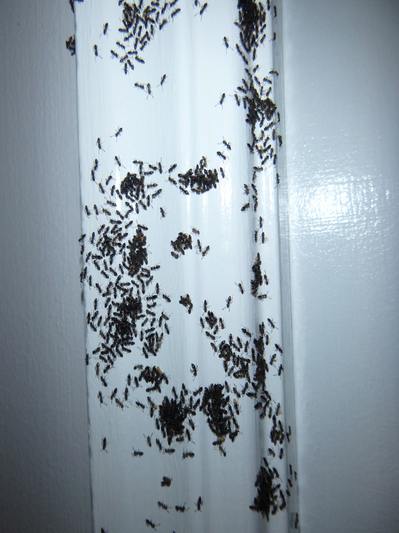 Don’t let creepy crawlers turn your home into a pest settlement. Give us a call at EcoTech and set up a time for a licensed Shoreview exterminator to get rid of any vermin that have been unwelcomely inviting themselves in from the outside elements. Living like a guest in your own home is a very hard burden to handle, don’t let them win – call a professional exterminator in Shoreview today! We thrive to target the pests and leave the rest. By using an organic form of pest control. We take in consideration the possible harms that other solutions could bring to you, your family, and your home. While we eliminate the toxins we also take away the intruders. Whether it is a tiny little mammal running around or big old insect crawling. We have the experience to take care of any problem or infestation while repairing damages that they may have done to your humble abode. Serving the Twin Cities area, we get down to the problem and make sure it stays away well after we leave. Call a licensed Shoreview exterminator today and live happier tomorrow. It’s one thing to get rid of undesirable intruders. Then the task continues to ensure there is no return from them. We recommend keeping a tidy home. Limit the chance of pest to find food and livable area. Also keeping outside lights off during the night decreased the opportunity that a predictor could find his meal and sleep it off inside your home. Another way to protect your home is by maintaining your vegetation around the foundation of your home. Keeping plants back gives a lesser risk of insects eating plants and crawling into your basement. Sealing the cracks in your basement also increases your insect security. Let us help you maintain comfortability in your home by keeping the riff raff outdoors. More often than not, when dealing with the aftermath of an breach in your home. There are problems that need to be addressed. Whether its cleaning the feces or repairing damaged parts of your home. We have trained contractors to clean or help fix whatever the pests decided to destroy. By living healthy it is important to clean up after the rapture of intruders to assure there is no harmful intake that may be transferred to pest to you or your family. Having a combined experience of over 50 years, EcoTech can help you and your family with a trusted and experienced exterminator. Accredited by the Better Business Bureau and “A” rated 5-time super service award winner on Angies List. Call the team that can make you sleep in bed and dream again. Rest assured that the pests are gone and not coming back. Also providing 24/7 emergency services, we have your back if its ever against a wall due to rotten insect or vermin trespassers. Call us today at 763-785-1414!